20 Repeated Canadian Military Questions and Answers. Canadian Military Questions… A military or armed force is a professional organization authorized by a sovereign state use to lethal of deadly force and weapons to support the interest of the state. It consists of the Army, Navy, and Air-force. The duty of the military is to defend the state and its citizens. The military also have additional sanctioned and non-sanctioned functions in the society which includes the promotion of a political agenda, protecting corporate economic interest, emergency services, and social ceremonies and guarding important ceremonies. In broad usage, the two terms armed forces and military are often treated synonymous, a distinction is sometimes made in which countries armed forces may include both its military and other paramilitary forces. Armed force can be seen as the use of armed forces to achieve political objectives. They are lots of forms of irregular military forces, which do not belong to a recognized state, though they share many attributes with regular military forces, they are often called the military. I will like to give you a brief history of the Canadian military. The history of the Canadian military began when the British troop still occupied much of Canada, and everyone thought they always would. This ended in the year 1871, when the British and the United States signed the Treaty of Washington as part of an effort to secure the lasting peace and trust between the two former rivals. As part of their deal, the UK, agreed to withdraw all the imperial troops from North America. All of a sudden, Canada was forced to carry the burden of its own self-defense. IN 1883, the first Canadian militia, known as the Royal Canadian Regiment, was established. With the mandate to protect both the homeland and defend British interest abroad, which it did in the South African war [1899-1902], Canada’s first overseas conflict?. When the British demanded the colonial support for its war against the second world war.[1914-1918]. Many Canadian militias were cobbled together quickly in response, and a total of more than 425, 00 Canadian soldiers were sent to Europe, in what was called the Canadian expeditionary force. After the force, Canadian secured what was called foreign policy independence from Britain, but the militias were quickly sent back to Europe once Canada decided to back the British side in world war two.[1939-1945]. It was during the world war that Canada’s armed forces finally became more organized like a traditional military, and in 1942 the Canadian army was founded officially. The army wet through more restructuring in the 1950s and 1960s, eventually culminating in the creation of a single unified Canadian military known as the Canadian armed forces in the year 1968. The royal Canadian air force. These branches are however unified all under a single leadership structure which is headed by a single commander known as the chief of defense staff, currently general J.H. Vance, who reports directly to the prime minister of Canada. Known as unification, the idea of combining all branches of the military under a single hierarch was also part of a controversial plan to help stream line the countries small military in the most efficient and cost effective way. Today it has resulted in phenomena such as joint training for new recruits, and commanding officers who are being promoted from one branch to another. The Canadian army is the command which is respond for all operational readiness of the conventional ground forces. The Canadian army came into official use beginning only in the 1940; from before confederation until the Second World War the designation was the Canadian militia. On the 1st April 1966, as a precursor to the unification of Canada’s armed services, all the land forces were placed under a new entity called the mobile command. In 1968, the Canadian army ceased to exist as a legal entity as the royal Canadian navy, the Canadian army, and the royal Canadian air force were merged to form a single service which is called the Canadian armed forces. ♦ THE CANADIAN ROYAL NAVY. This is the naval force of Canada. The naval service of Canada was founded in the 1910, and given sanction on 29th august 1911, the royal navy was amalgamated with the royal Canadian air force and the Canadian army to form the unified Canadian armed forces in the year 1968, after which it was known as maritime command until 2011. In 2011, the historical title of Royal Canadian navy, was restored. The Canadian navy has served in the first and Second World War, the Persian Gulf War and numerous United Nations operations. ♦ THE ROYAL CANADIAN AIR-FORCE. The role of this force is to provide the Canadian forces with relevant, responsive airpower.it is responsible for all the aircraft operations of the Canadian forces, they enforce the security of Canada’s air space and provides aircraft to support the missions of the royal Canadian navy and army. The Canadian air force was formed in 1920.they were granted royal sanction in 1924 by King George V to form the royal Canadian air. In this article I will like to talk on the top Canadian military questions with their answers, especially the ones asked in interviews. 1. What qualifications must I meet in order to join the military? The service requires a high school diploma. 2. I’m not sure which service I’d like best how do I decide? After you have done the necessary research, it is then time to talk to a recruiter. They are there to answer your questions. They will be positive and so honest, so you don’t have to be afraid to ask anything. You can also bring a friend or guardian alongside with you, if that is what makes you very comfortable. Make sure you have all the information necessary to make an informed decision. 4. How do I find a recruiter? The best way to find a recruiter near to you is through individual services that might interest you. Recruiters from various branches may share the same location, so you have to be bold to speak to more than one of them to compare opportunities. 5. How long do I have to serve if I join? Some first term enlistments are four years of active duty, followed by another four years in the individual research. 6. What is the post -9/11 GI bill worth? The actual benefit amount varies based on a member’s total service of length. 7. What other higher education support programs are there in the military. Military education programs include service member’s opportunity colleges, tuition assistance, military school programs and military school credits. 8. 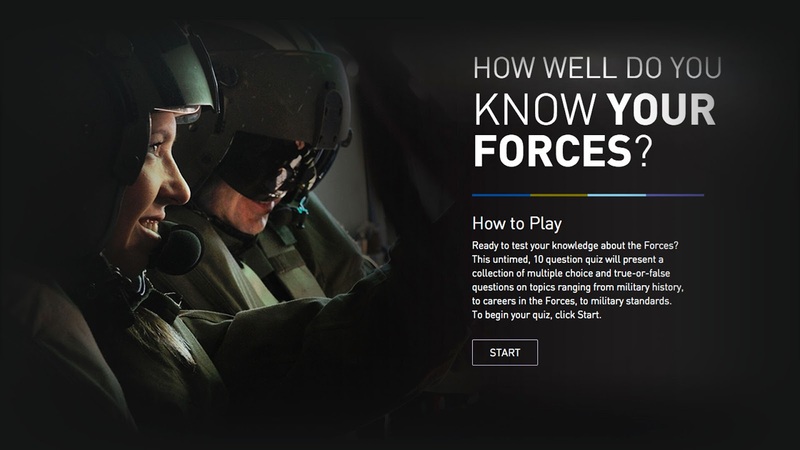 What kind of job training can you get in the military? The enlisted service members in their fields during programs called A schools or advanced individual training. The skills training schools prepare service members for the many positions the service needs to fill. 9. Can I choose my job after basic training? Job assignments are made based on service needs, as well as individual test scores. The military will match your efforts. Military compensation is combined with base pay and special; to which everything else is added. Total financial package includes the value of housing assistance and meal cost. 12. Where can I find out more about each service branch? The following links will answer your questions. 13. If candidate is married or has children, van him or her enlist? 14. What are the age requirements for joining the military? The minimum entrance age requirement Is 17 years, that is with parental consent, and 18 years without parental consent. 15. Can certain health problem prevent a candidate from serving? During recruitment, physical exams will be done. During the exams, you will be asked about your health. The result of the exams will determine his or her ability to meet the health and physical fitness standards for military service. 16. Does having a crime record dis qualify a potential recruit from military service? Each service does take different approaches to evaluate the severity and number of offense on a candidate’s record. The result may or may not disqualify the candidate. 17. Are the special considerations for women enlisting in the military? All jobs are open to women. The percentage of women serving on active duty in the military has more than doubled since 1978. 18. Can foreign born Canada’s citizens join the military? Yes, canada citizens or permanent resident alkenes may join the Canadian military. 19. Can people who are not citizens join the military? Properly documented non-citizens may also enlist. Opportunities may be limited. For more advice on this question, contact a recruiter. 20. Is it possible to switch job once in the military? Yes. Military job comes with time commitment, so as a member, you might be obligated to remain specific career for the length of his or her contract. So far I have been able to give you the necessary Canadian military questions and answers.